Though this summer looks set to be one of great change for Sheffield Wednesday, Stuart Gray is keen for some things to stay the same. The defensive rigidity that saw the Owls equal a club record for league clean sheers in a season will be one attribute the head coach will not want to disrupt. But another is the remarkable never-say-die attitude and togetherness of the Wednesday squad. 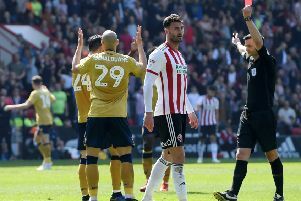 It was in evidence once again on the final day of the season when Atdhe Nuhiu’s injury time strike rescued a point for the Owls and denied Watford the Championship title in the process. While he plots to use Dejphon Chansiri’s funding to build a squad capable of challenging for promotion next season, Gray says he does not want to ruin the team spirit that has been forged at the club. “The confidence, belief and never-give-up attitude of the group, we have to carry that through,” Gray said. “We want to strengthen in the summer and get more quality players in to add to the solid group that we’ve got. We need to get more things happening at the front in. “But team spirit is a big thing. “The players have commented on it all the way through the season and we need to keep that going. “The dressing room is a great dressing room. They’ve got a great work ethic. “The attitude is that it’s not over until it’s over and that has served us really well this season. “There is an honesty in the players to keep going and a willingness to do that. “We’ve done it at Blackburn, at Rotherham, at Bournemoutg and we did it again at Watford. Gray admits it can be difficult to fully know the nature of the character of a potential transfer target. But he has backed his squad to manage the dressing room should any new arrival fail to fall in line. He said: “Sometimes you don’t know what a person is like until you’ve got them in the building.